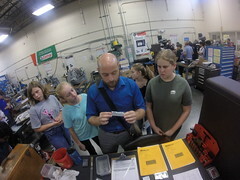 ← Careers in Manufacturing ? 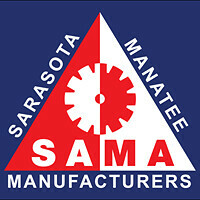 eh…..
We just did our 4th MFG Day at Suncoast Technical College. To see where do you get training to work in Manufacturing. 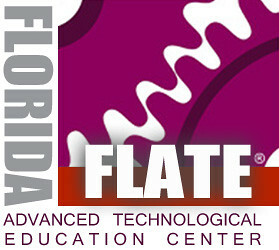 We collaborated with Design and Drafting and the new Advanced MFG & Production Technology. 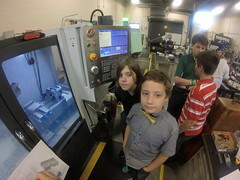 All students are in Technology/Engineering STEM programs from Middle and High School. 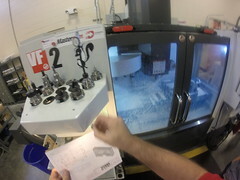 I had my Go Pro Hat cam on to capture the Days events in the CNC machining area. We had some new CNC machinists running machines and making parts. We showed them many things like the Titanium Knee – the Edge Factor Motorcycle sprocket and more parts.